Makinti began to paint for the Papunya Tula Artists in 1996, however had already been involved with the Kintore & Haasts Bluff project of 1993 / 1994 . Her style is characterised by a more spontaneous approach in illustrating the traditional iconography. 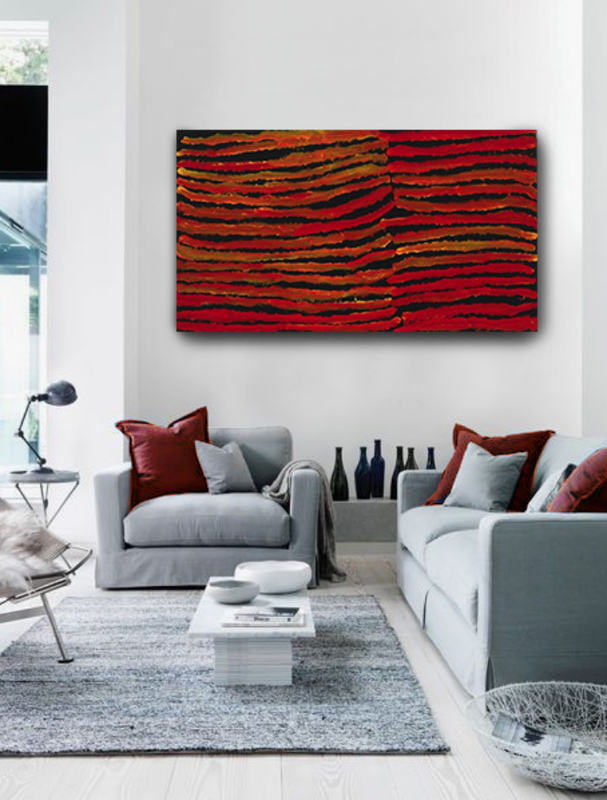 Her paintings often consist of interwoven, lightly coloured lines which represent the hair string skirts of the ‘Kungka Kutjarra’ or Two Women who feature prominently in Pintupi ancestral stories. These hair string skirts are worn by Pintupi women in their ceremonies when they reaffirm these mythological stories through dance and song. Makinti was a committed and prolific artist and her works have representation in many major galleries and private collections. Up to her death she was a highly regarded and respected figures of the Central Desert and is still currently recognised in the top fifty most collectable artists.